I almost called this 'exploding hearts' card but I didn't think that sounded so good. I suppose my heart can explode with love, but again, not so romantic. "Punched" heart wouldn't sound so great to just anyone. Who wants their heart punched? 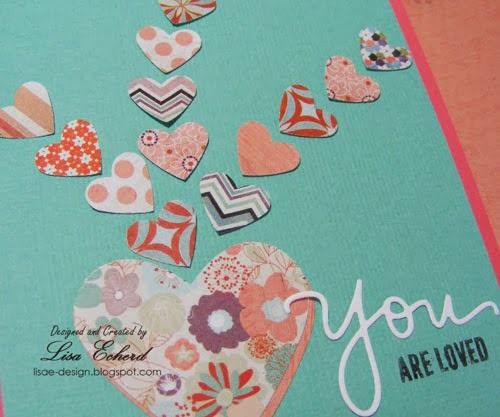 But we crafters know this means the paper hearts are punched out using whatever type of heart punches or dies we have. 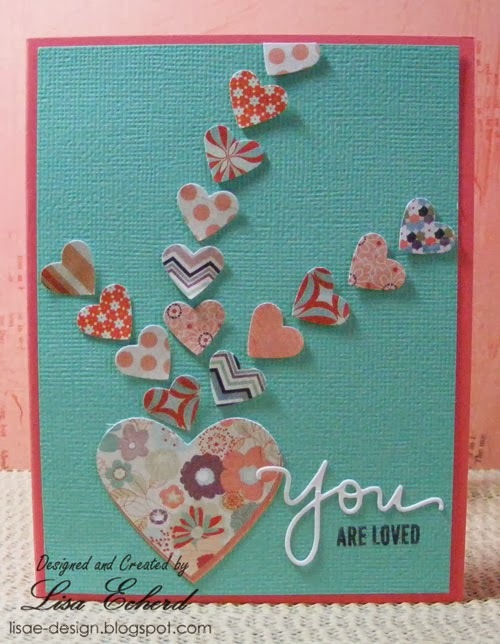 And that can mean a quick and cute card. I did a video of this one. You can use pretty much any papers and sentiment you like. It doesn't have to be just for Valentine's day either. If you came by for the 3rd of our series using the same scrapbook sketch, I had that post and video all ready to go and then the video wouldn't play on YouTube. I've never had this issue so I don't know what is going on. Maybe I need to upload it again. Anyway I'll figure it out and have it up later in the week. Exploding heart …ya, don't know about that name, lol. Whatever you call it, it is a beautiful card.